Travelling east from Keep River National Park on the border of Western Australia and the Northern Territory the next National Park that you come to is the Judbarra/Gregory National Park. It is a vast park with much of it only accessible by four-wheel drive. It is also a very popular park for accessing the Victoria River to catch a Barramundi! There are plenty of opportunities for observing crocodiles, a huge variety of birds, rock art, hiking trails and spectacular scenery. Big Horse Creek is a popular camping spot for fisherman with a boat ramp that is accessible to two-wheel drive vehicles. 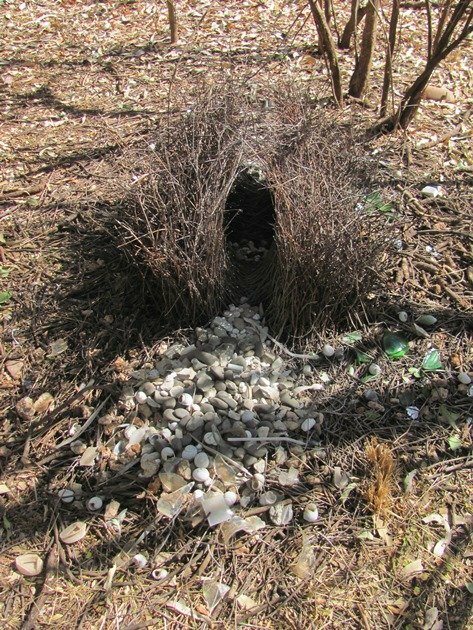 Last week I detailed the Great Bowerbird’s bowers in Keep River National Park and now I will show you just how different the contents are when you allow camping in the area! 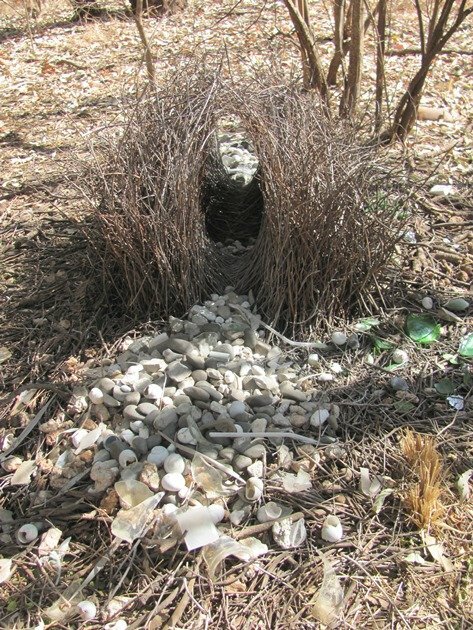 This bower is easily visible just beside the road to the boat ramp on your left hand side just before the picnic tables. 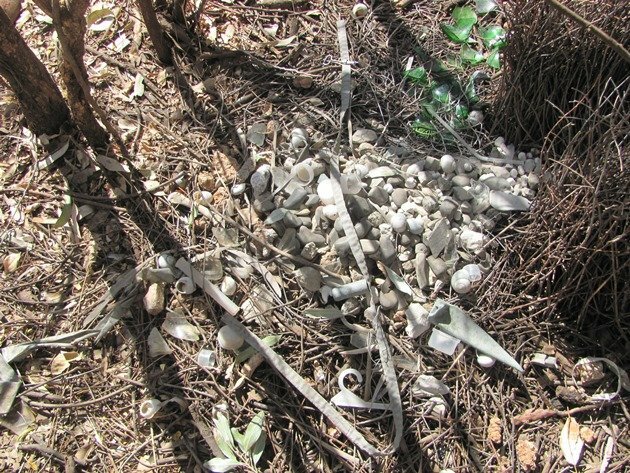 The contents at this bower are a great selection of items that the Great Bowerbird has chosen to try and attract a mate. 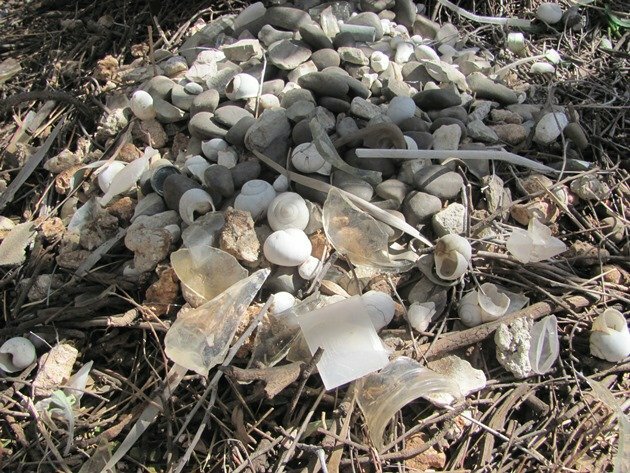 There are plenty of pieces of broken glass, drinking straws, plastic bottle tops, aluminium foil and a piece of grey fabric. 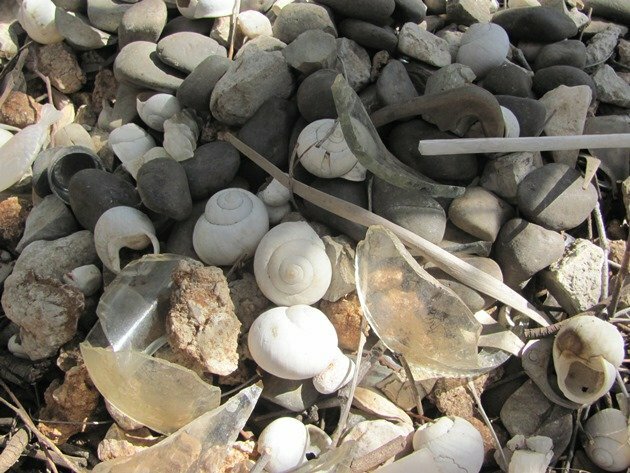 There are also natural items such as the small rocks, bones and shells. 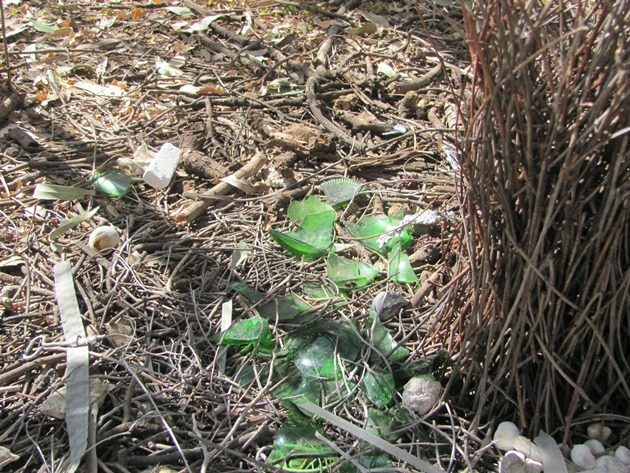 Every now and then you come across a Great Bowerbird’s bower with an item in it that is amusing and this one has to be the presence of a little fish sauce container! It is a close contender for “best item” along with our little set of wheels in the bower in Broome! 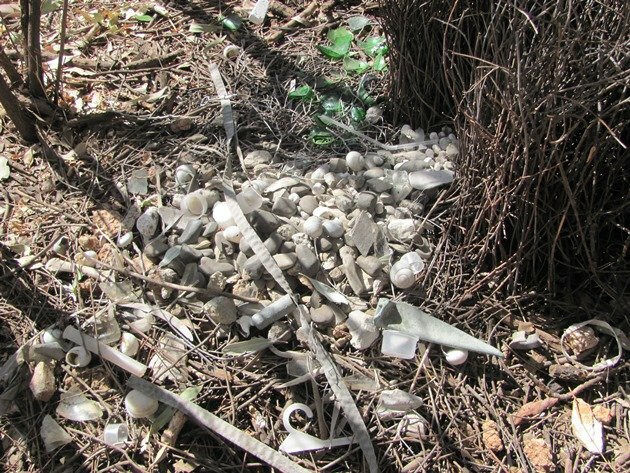 The marbles in the bower at Fitzroy Crossing are also worth a mention! 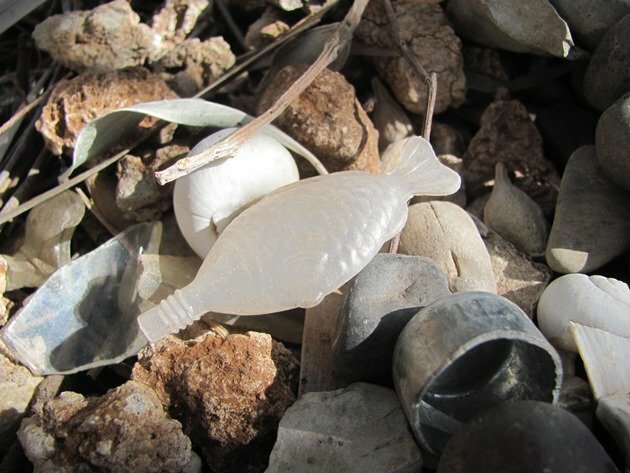 Fish sauce bottle in bower! 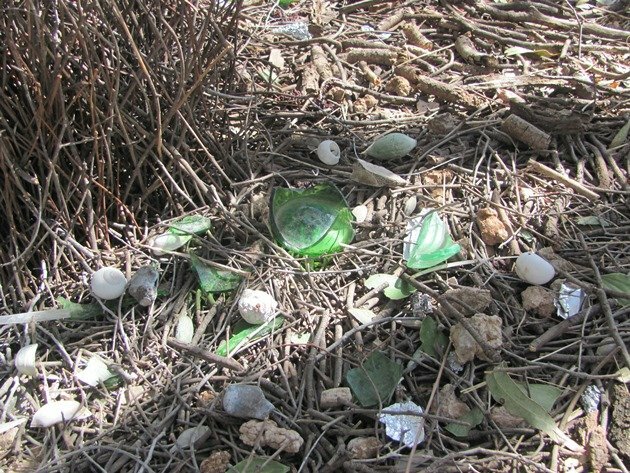 Great Bowerbirds particularly like green and white objects, but anything shiny soon grabs their attention. 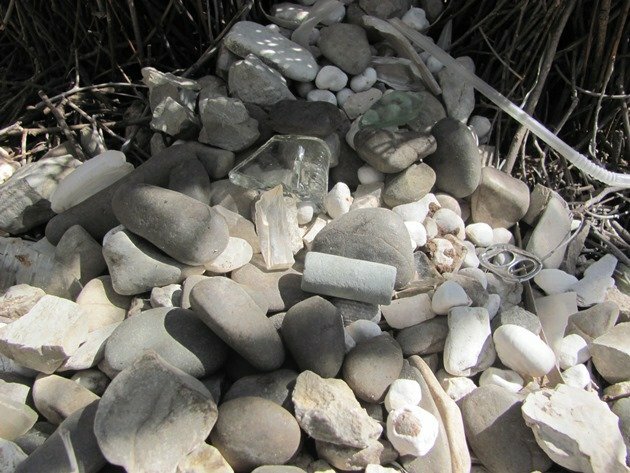 Maybe you have had something stolen while you were camping?! 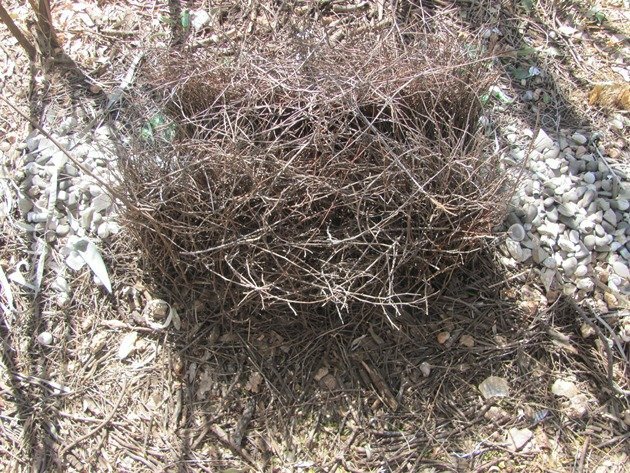 Have you ever found anything really interesting in a bower? Awesome photos as always, Clare. And I just tried barramundi for the first time last week–yummy!